New year, same me ...but with a shiny new ring! You’re engaged and now you’re thinking about engagement photos. What should you wear? What should you bring? What should you do with your hands? There are so many questions that you need the answers too! This blog post is to help you answer some of those unknowns and relieve some of the stress. 1. THERE IS ONLY ONE YOU SO, BE YOURSELF! I want y'all to look at these images and LOVE them. Wear the right outfit for your comfort level, don’t go too short, tight or baggy if you are not going to feel comfortable standing, sitting, laying, running (you name it!) for our full session! Please do not try to be someone you are not for your engagement photos (or any photos really!). The more confident and comfortable you feel, the more likely you are to love the final product! 2. LET YOUR PERSONALITY SHINE. DON’T BE AFRAID TO GET FANCY! My couples typically always bring two outfits. Splitting our time together in half with one casual flirty outfit at one location and one fancier date night outfit at another location. 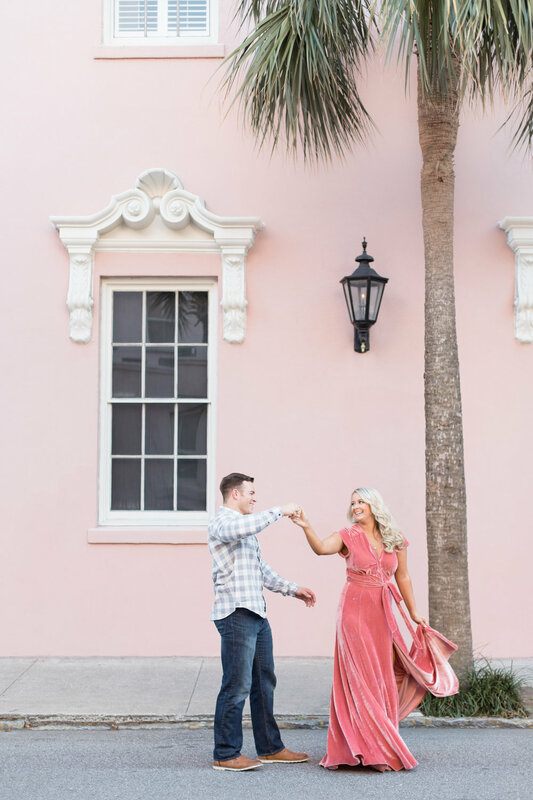 Charleston is known as a “foodie” town so y’all might as well go out on a hot date after we’re done! 3. LET’S DO A FUN ACTIVITY TOGETHER. The location you choose should set the scene! Open fields, downtown, and beach sessions: bringing your cute bicycle from home, renting a scooter or old-time car, bringing a piece of vintage luggage, setting up a picnic with a champagne bottle, glasses and fruit could all be a fun props to play with! 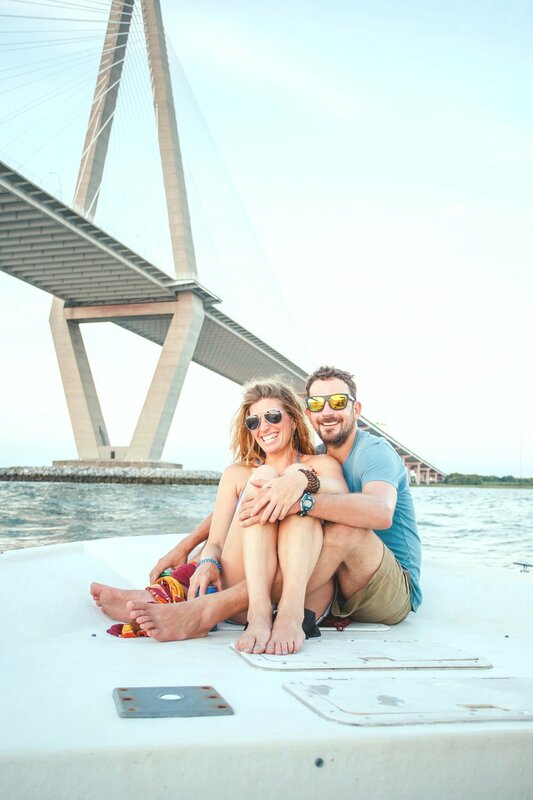 Are y’all a couple that enjoys boating? Let’s go on a boat or to a marina where boats are docked. Hiking? Let’s go on your favorite trail. What about surfing? Let’s go surfing (yes, I have a water-housing for my camera that makes this fully possible). A bouquet of florals are always a good idea with any location. 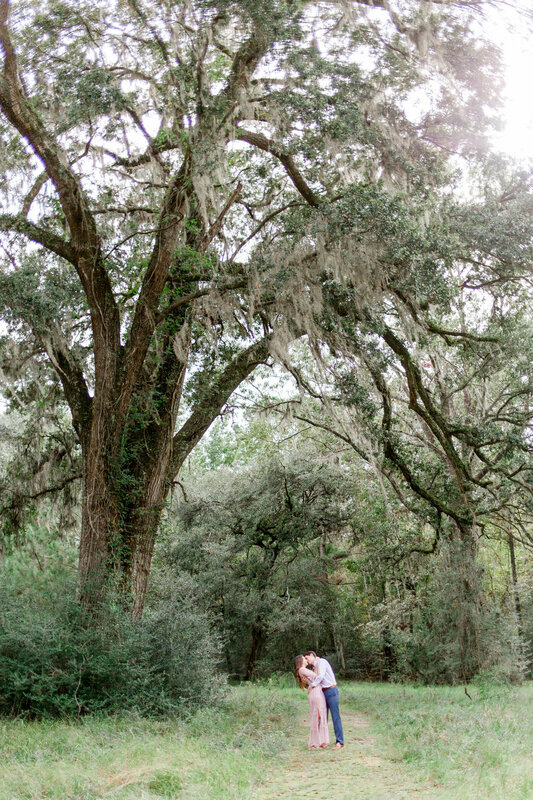 Be sure to chat with your photographer so y’all can coordinate your ideas! 5. DO WHAT MAKES YOU FEEL AND LOOK AMAZING! Pinterest is a great tool for inspiration! Scroll up to where I linked my Pinterest inspiration board LOL. But you have to be careful not to get too caught up in it. If you aren’t getting your engagement session done in Paris, then your photos aren’t going to have the Eiffel Tower in the background. HOWEVER, going back to bringing fun details to our session, let’s find a local bakery that makes macaroons and buy a box to bring as well as some other French looking trinkets. 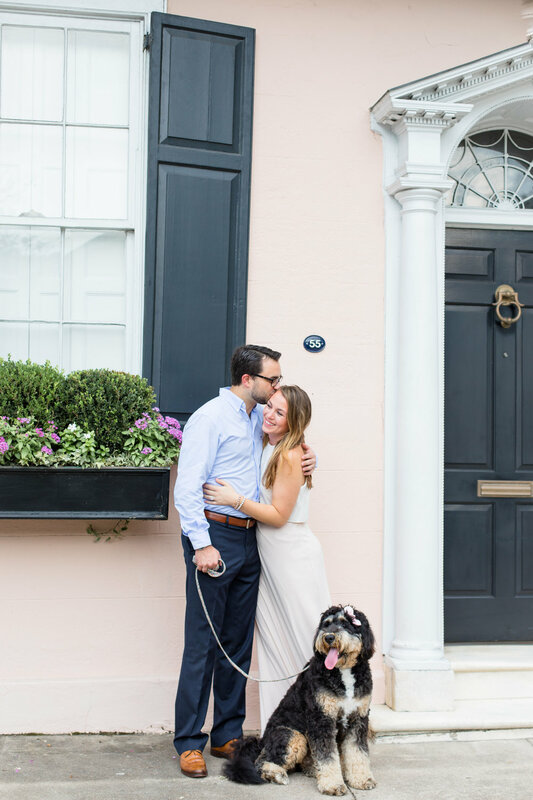 Just because you aren’t in Paris doesn’t mean your engagement session can’t be Paris themed! Yes please! Give me all the puppy kisses! 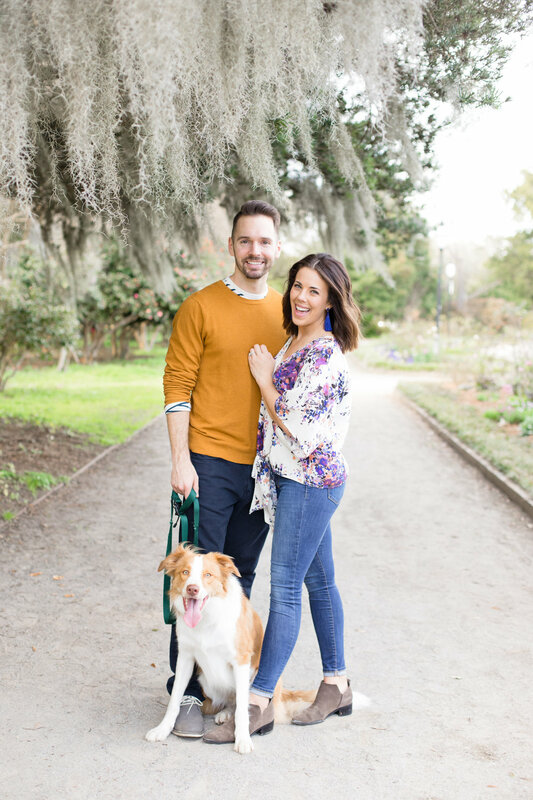 Bringing your pup to your engagement session is ALWAYS a great idea in my opinion! But make sure to ask a friend to help you out by coming to our session to take care of them. The pups don’t need to stay for the entire session either but that’s up to you! 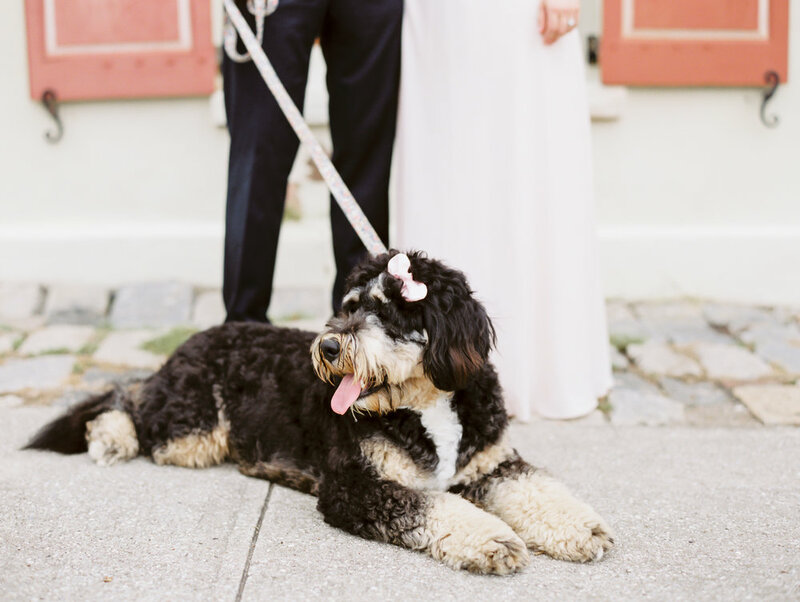 You can coordinate one of your outfits to be with your pup…maybe adding a floral wreath collar to match your fancier outfit? (hint hint!) Finally, don’t forget to pack your cuter leash, some treats and your pet’s favorite toy to help me get their attention towards the camera! 9. I CAN’T STRESS THIS ONE ENOUGH - L E T L O O S E & H A V E F U N ! These images are meant to be a keepsake for a special, short-time in your life! You won’t be engaged for long so let’s have fun with it! 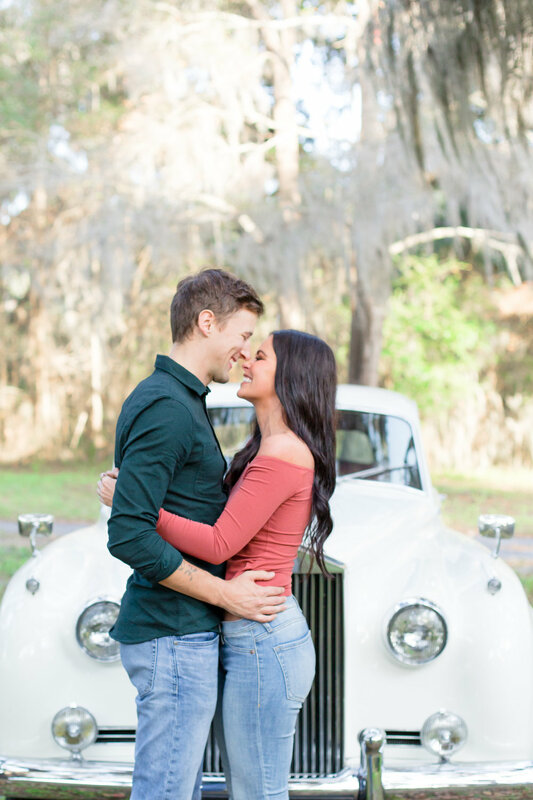 Be ready to laugh, smile, giggle, kiss and flirt your way through our session! I want y’all to focus on each other, there won’t be time for you to be concerned if you’re doing something “right”. Let me guide y’all and worry about all the other stuff!